The Tour of Champions event series will march to its second stop in 2015 at the University of Central Missouri in Warrensburg on Monday night. Seven of this year’s top-scoring World Class corps will be competing at Walton Stadium on UCM’s campus, and you’ll be able to follow all of the action through the DCI Live! streaming video platform. The broadcast will begin at 8 p.m. ET/5 p.m. PT, with the first corps stepping off at 8:40 p.m. ET/5:40 p.m PT. PLEASE NOTE: This DCI Live! webcast will be available for viewing on desktop computers, with mobile streaming available exclusively through the DCI.org iPhone and iPad app, or the DCI.org Android app. The webcasts can be accessed as part of a season-long subscription package or pay-per-view. Enter the Bluecoats. The Canton corps members was absent from the first Tour of Champions event last night in DeKalb, Illinois, as they made the trek back from the Rockies. Monday will mark the first time that the top-seven corps from last year’s World Championship Finals will go head-to-head in the same competition. The Blue Devils and Cadets have kept a firm grasp on the top spots so far this year, but the Bluecoats scored well in the rarified Denver air and may have something to say about how the corps finish in Warrensburg. It’s anyone’s guess who finishes first on Monday night, as all of the corps continued to swap positions over the weekend. But it’s not just the overall scores that are in flux. Keep an eye on the caption scores--brass, percussion, and color guard. 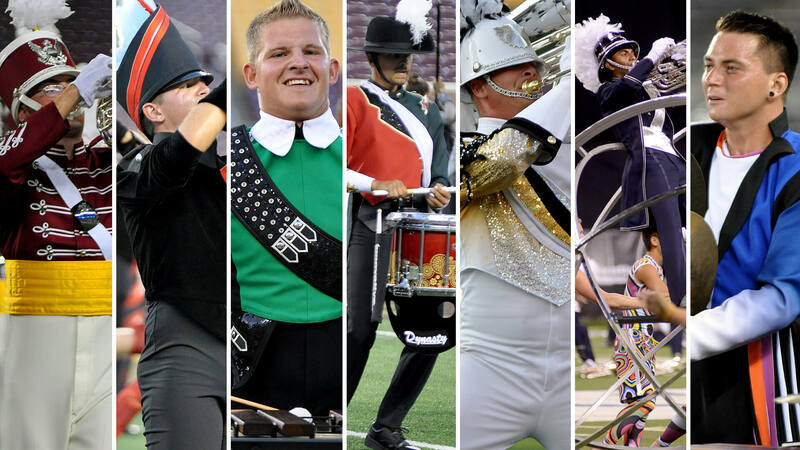 A different corps held the high score in every single caption over the past week, and the captions have been decided by a tenth of a point or less at nearly every single competition. The Cadets hold the high score in brass, Santa Clara Vanguard leads in percussion, and Carolina Crown currently has the top color guard, but all of that could change tonight. Watch as the Cadets, Santa Clara Vanguard, and the Cavaliers attempt to exact revenge on Monday night. Each of those corps was surpassed on Sunday in DeKalb (by the Blue Devils, Carolina Crown, and Phantom Regiment, respectively). Each corps will attempt to regain their positioning, and in some cases, move up an extra spot or two. You can read more about the trending storylines heading into Monday night in this week’s Competitive Edge. Then, tune in at 8 p.m. ET/5 p.m. PT to watch the Tour of Champions: Central Missouri live from Warrensburg.